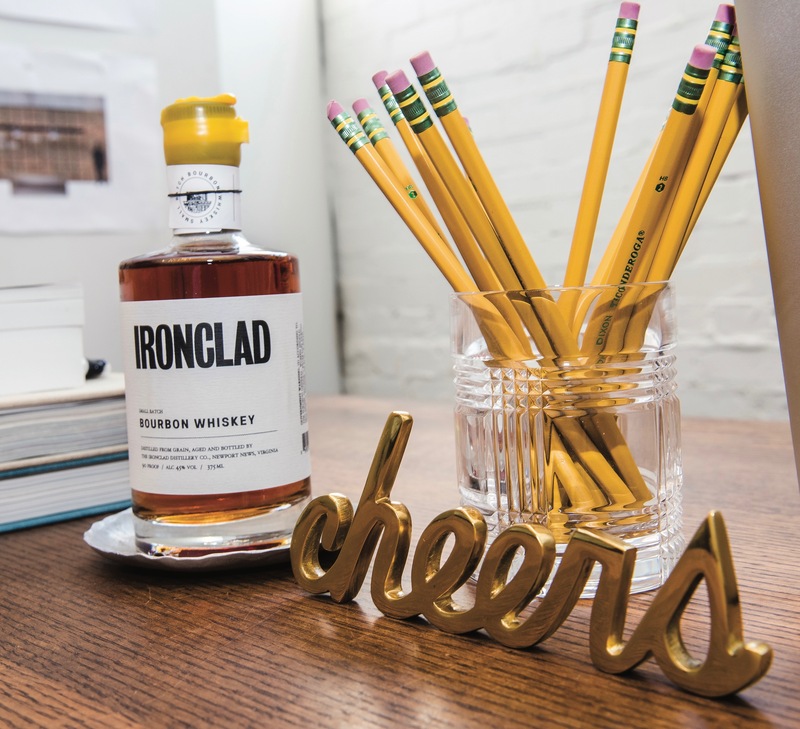 Home » Biz Report » Kara King’s Vintage Desk at Ironclad Distillery Co.
Posted by Ryan Miller on Dec 22, 2017 in Biz Report, What's On Your Desk? Named for Civil War ships and born from entrepreneurship, Ironclad Distillery Co. is the first distillery to take charter in Newport News, reviving Virginia bourbon on the bank of the James River in the prodigious 30,000-square-foot Paul Davis warehouse built in 1913. 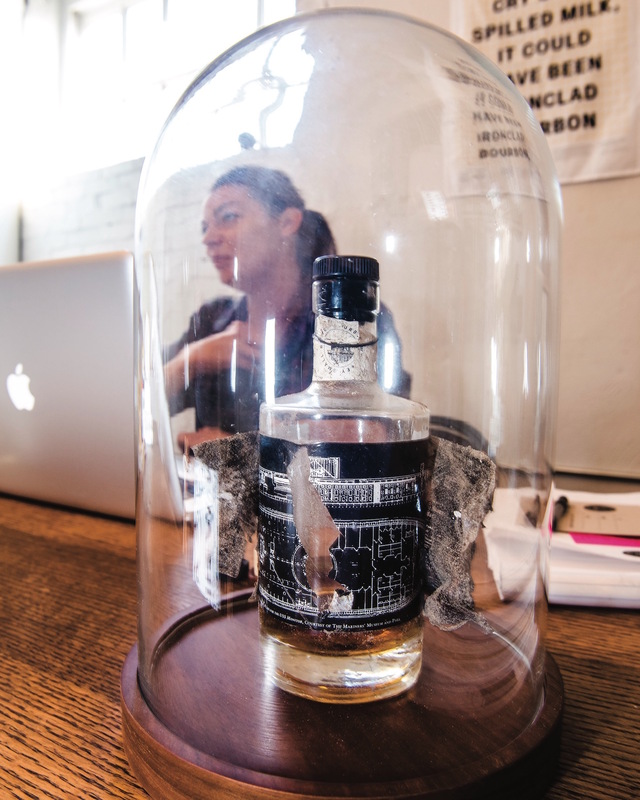 The distillery is family-owned, pulling from each member of the Ironclad crew’s talents. Kara King manages the distillery’s marketing, while her father, Stephen (who coincidentally shares a name with the author), founded Ironclad with a prolific knowledge of bourbon alongside Kara’s brother Owen (an even more ironic coincidence of sharing a name with the author’s son), who crafts their recipes and distills their spirits. “Our Christmas Tree looks like a liquor store underneath it because we just exchange bottles of bourbon we’ve found along the way,” Kara says, amusedly. 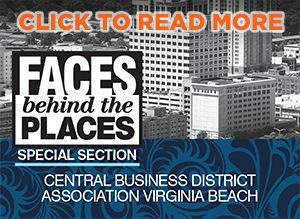 She describes her office as having a quality of “rustic luxe,” with a tiled and framed black-and-white sketched picture collage of the ironclads, vintage black leather sofa, Sputnik chandelier and an antique wooden desk. As a part of a long maintained superstitious Southern ritual, this particular disheveled bottle of Ironclad Bourbon was dug up from the dirt of the Earth. 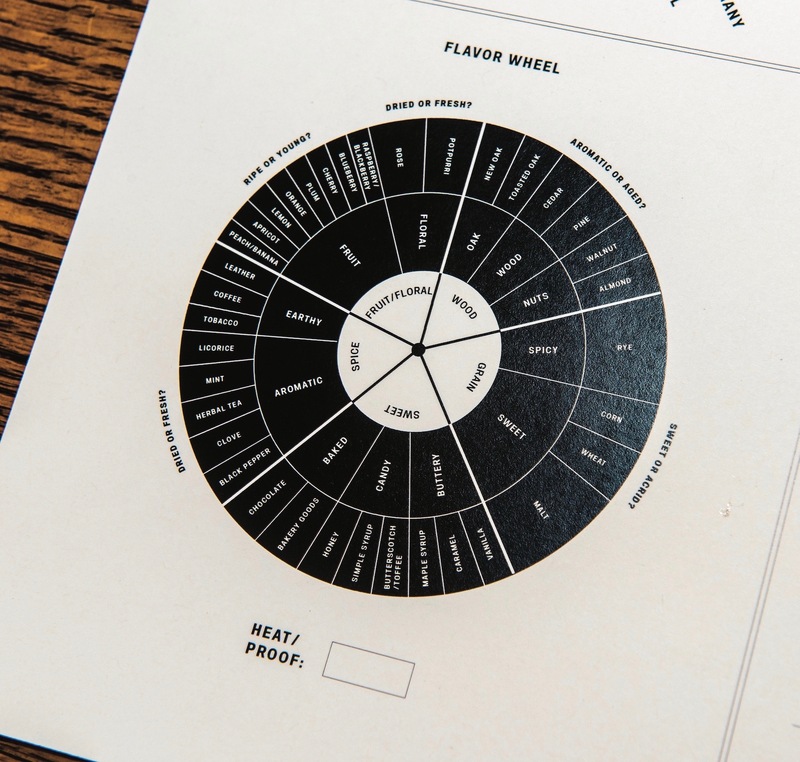 “You bury a bottle of bourbon upside down in the ground, a month before your wedding date, [and] it’s supposed to guarantee good weather on your wedding date,” Kara explains. Owen exchanged vows in April and buried this bottle a month beforehand. Despite the extra aging beneath the soil, the ceremony was met with all-day rain showers as the bridal party took dividends from this bottle. “We didn’t care because there was bourbon in the end,” Kara chuckles. 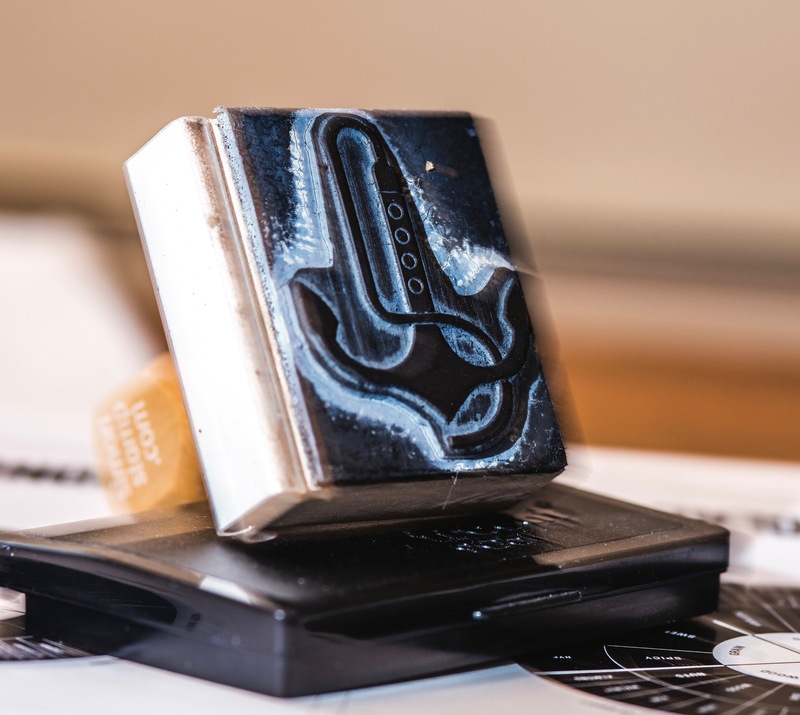 Whenever Kara writes a letter, she stamps it with the Ironclad Distillery Co. emblem, which is a still wearing the guise of a ship’s anchor. Handcrafted could easily be considered a catchall catchphrase at Ironclad, as the King family does nearly everything with sleight of hand, from Owen waxing each bottlecap to Kara writing all of the batch notes inscribed on their labels. Their brother, Ben, designed the emblem. The rusted battle slug, possibly a badge of the Civil War, perhaps was launched or lugged from the James River during the drawing duel between the ironclads USS Monitor and CSS Virginia. 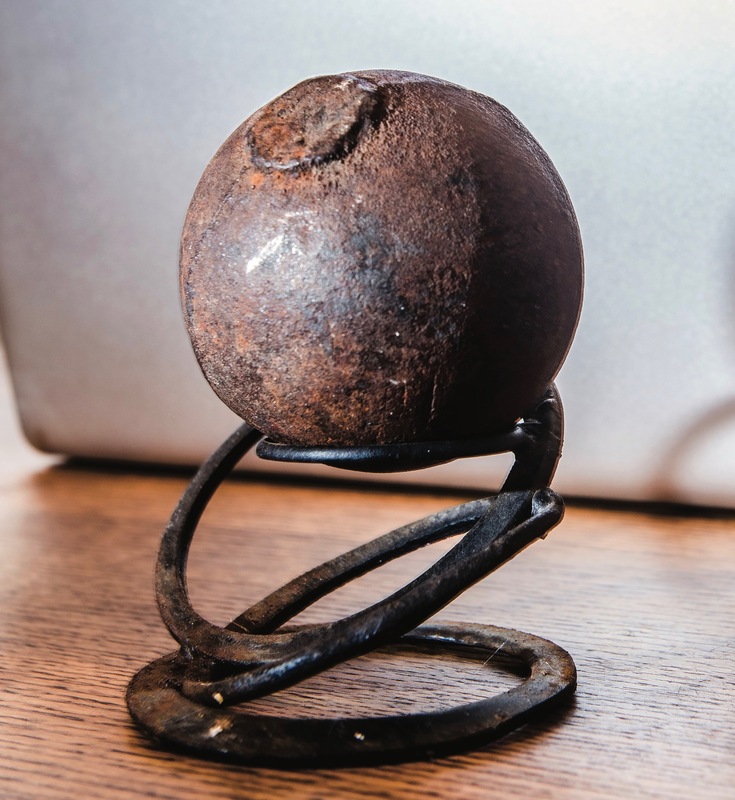 While that may seem like a foolhardy foregone conclusion, the round shot, now a fine desk prop and glorious paperweight, was in fact found within the historic Paul Davis building. The erstwhile grocery store and dry goods warehouse is beside an old railroad track where cars would unload their freight. The building was originally constructed and owned by S. W. Holt & Company and run by the Holt brothers, with Saxon W. Holt presiding as a member of the Virginia Senate and Lieutenant Governor. 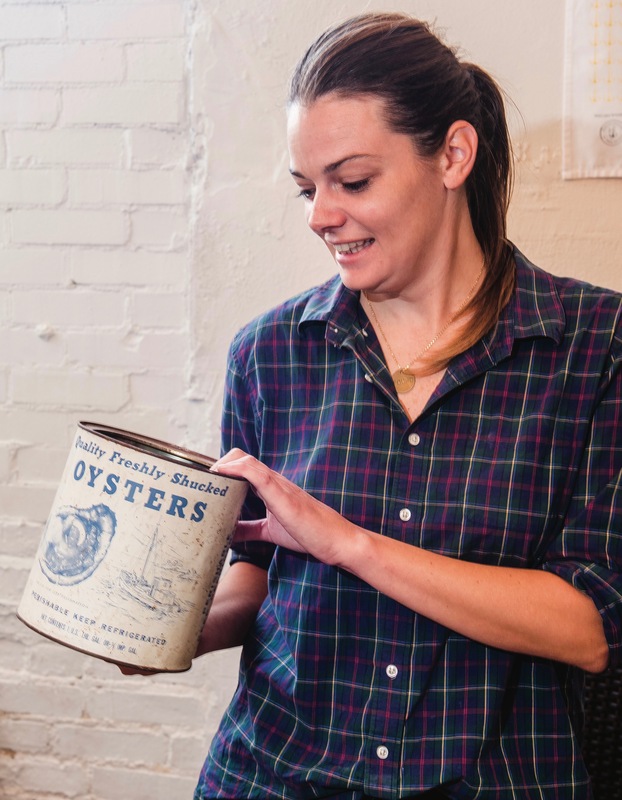 “Back in the Civil War era, Navy seamen used to hide bourbon in oyster tins in order to smuggle it onboard the ships, so that’s a nod to that,” Kara indicates. She’s well read with her history books, as her mother, Carol, was a high school librarian, and has frequented The Mariners’ Museum while learning more from historian, author and Director of the USS Monitor Center, John V. Quarstein.